Demanding schedules and busy lives don’t always fit into standard office hours and sometimes neither does illness. After-Hours Nurse at 713-442-0000. Call our After-Hours Nurse after regular office hours and on weekends and holidays. 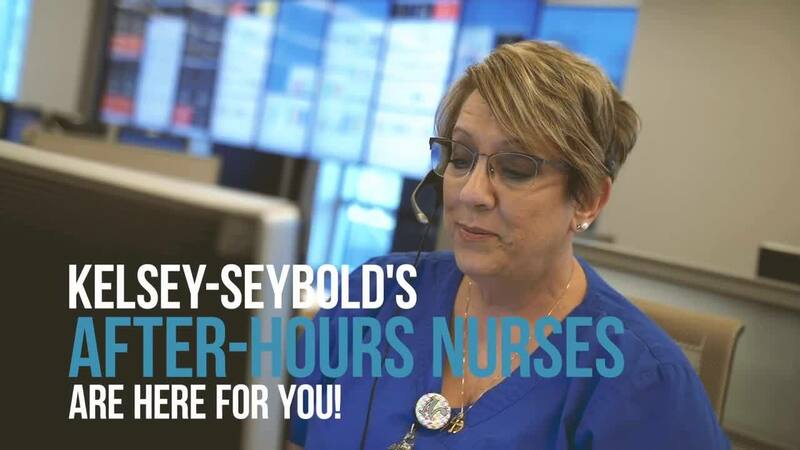 A Kelsey-Seybold After-Hours nurse will answer your questions, page your physician if necessary and schedule needed appointments. Saturday Appointments for Ill or Injured Patients are from 9 a.m. to 2 p.m. at the following clinics. ​Call our 24-hour Contact Center at 713-442-0000 after 5 p.m. on Friday or on Saturday morning for a Saturday appointment. ​After Hours E-visits Available Mon.​ – Fri. until 9 p.m. and Sat. & Sun. 10 a.m. – 4 p.m.